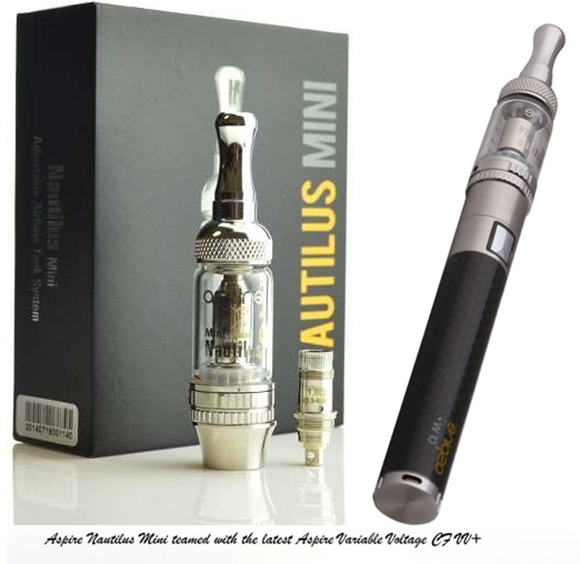 This is top rated Aspire Nautilus Mini kit put together by diKudi. It is solid built to last longer and give your great vaping experience. Please order it quick which stock is available as it is hot selling. The Aspire Carbon Fibre (CF) VV+ 1000mAh Battery feature stainless steel endpoints, a metal button, and a gorgeous carbon fiber coated tube. If you are interested in pairing the Aspire Nautilus Mini with a pen style battery - we recommend using the Aspire Carbon Fibre (CF) VV+ 1000mAh Battery for a stunning combination both in look and performance. The Aspire Carbon Fibre (CF) VV+ 1000mAh Battery has a floating Centre Pin for flawless connectivity with anything screwed onto it is just one of the great new features of this battery. A Carbon Fibre body for a sleek look and tough exterior makes the Aspire Carbon Fibre (CF) VV+ 1000mAh Battery stand out from the pack.